Measure your campaign success using real-time analytics. With Zoho Campaigns, you get a complete analytical toolbox that helps you grade campaign performance. Stay up-to-date with accurate insights and statistics, and use this information to improve your overall engagement strategy. Get to know your campaign performance. See how many recipients have opened your campaign, who they are, and which links have received the most clicks. Learn which email addresses have bounced and why. Spam addresses are automatically moved to a do-not-mail list so your efforts stay productive. Find out the reach for your social campaigns with the access to reports about likes, comments, tweets, and shares. 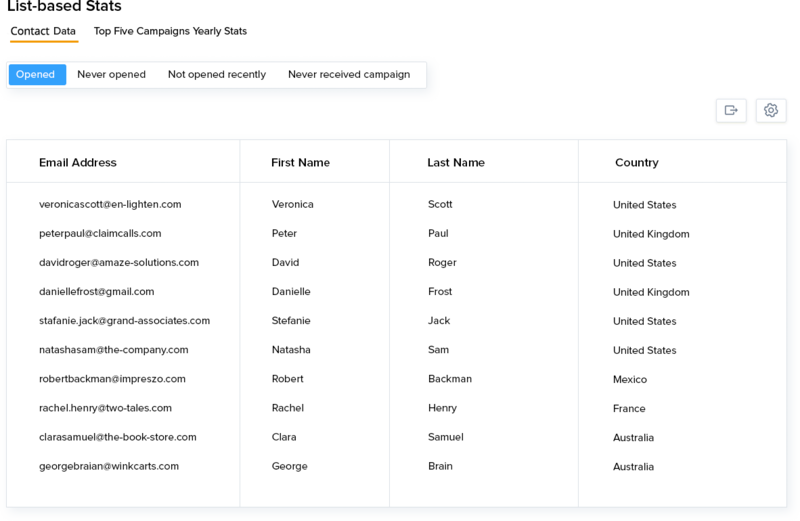 Discover the exact geographical locations of recipients who open your campaigns, as well as the open dates and times. Optimize your campaigns with access to stats about which devices, operating systems, and web browsers your recipients are using to view your campaigns. Add Google Analytics to your Zoho Campaigns account, and track activities back to your website. Learn which links are generating the most traffic, which subscribers have clicked links, and much more. Understand recipient behaviors by tracking the clicks and page views performed on your site. Assign goals and keep records for each of your recipients. 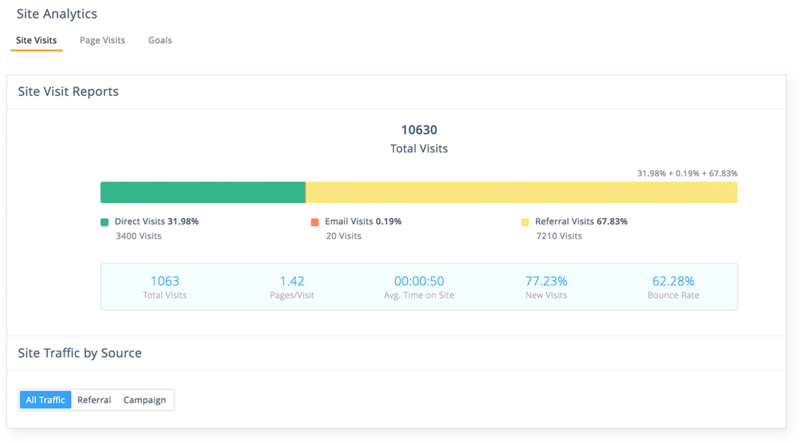 Receive realtime statistics about open and click rates for your top campaigns. See where your opens are coming from, and which campaigns and URLs are popular with your audience. 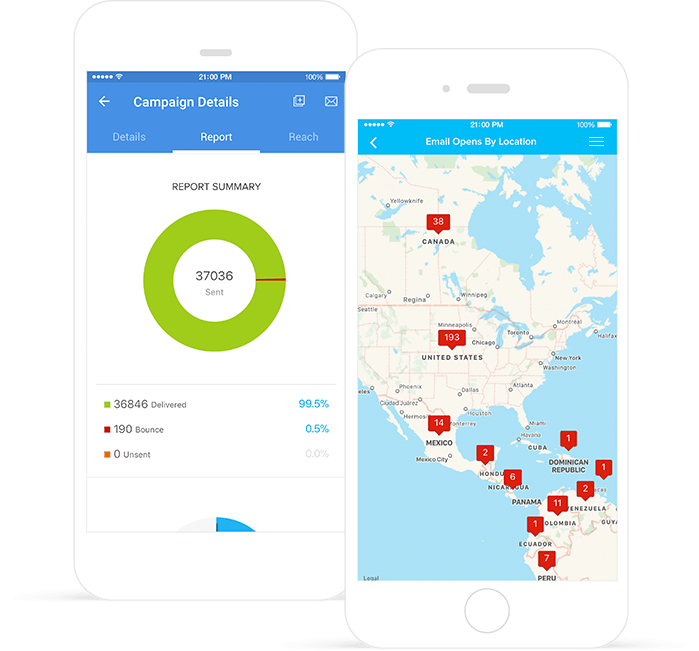 Access and share reports on your mobile device using the fully-featured Zoho Campaigns app.